Great Rxpectations: the data-driven odyssey to safer drugs. 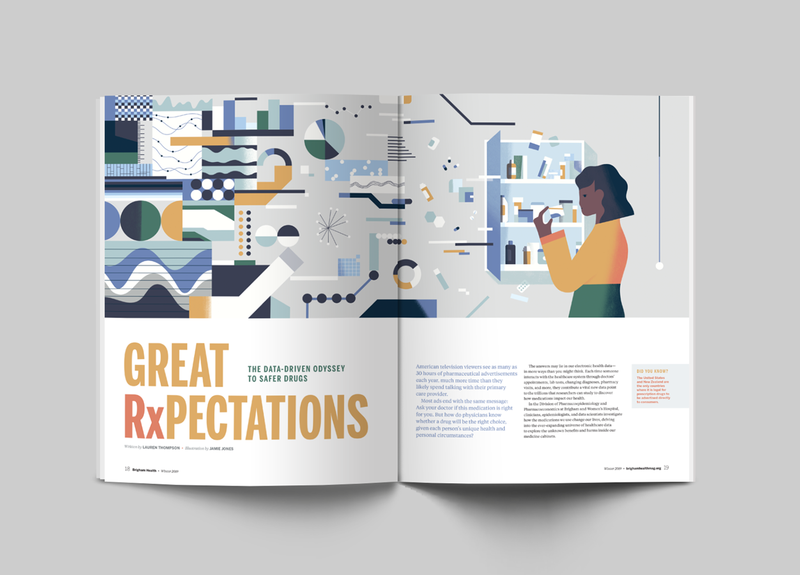 Editorial illustration for Brigham Health magazine. The article talks about the science of pharmacoepidemiology and the enormous databases of patient care that are combed through to bring the US safer prescription drugs.